Bank of England (BOE) chief economist Andy Haldane called for raising the bank rate before the end of the year in a speech on Wednesday. "A partial withdrawal of the additional policy insurance the MPC (Monetary Policy Committee) put in place last year would be prudent relatively soon, provided the data come in broadly as expected in the period ahead," said Haldane. "Certainly, I think such a tightening is likely to be needed well ahead of current market expectations. 'How soon is relatively soon' ? I considered the case for a rate rise at the MPC's June meeting. I felt then there were strong grounds for holding back until later in the year," said Haldane in a speech at the National Science and Media Museum in the northern English city of Bradford. Haldane, who sits on the British central bank's rate-setting MPC, has put himself at some distance from the stance taken by BOE Governor Mark Carney. In his annual keynote economics speech at the Mansion House in London, the official residence of the mayor of London, on Tuesday, Carney said the slowdown in economic growth, with gross domestic product growth at 0.2 percent in the first quarter of 2017, and uncertainty over the direction of Brexit meant that it would be unwise to pursue a rate rise "any time soon." Britain's bank rate hit a record low of 0.5 percent in March 2008 as a response to the financial crisis and subsequent recession. Last August, the MPC cut that low to a further record low of 0.25 percent, as a stimulus against expected headwinds resulting from Britain's decision to leave the European Union. Sterling responded to Haldane's call for a rate rise this year with a jump up against the U.S. dollar from 1.26 to 1.27. The MPC last sat last week, when it decided five members against three to hold the bank rate rather than increase it. 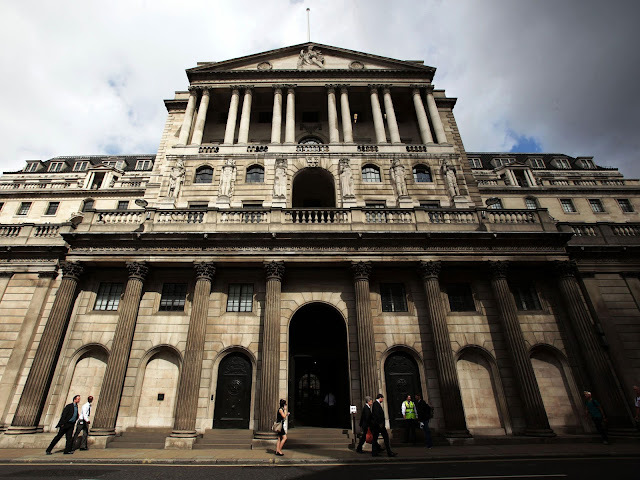 This was the first time in some years that three MPC members backed a rate rise. The outlook for interest rates is becoming ever cloudier – especially as the membership of the MPC is changing. The strongest advocate of raising interest rates, Kristin Forbes, has finished her term, to be replaced by Professor Silvana Tenreyro, and there are no indications as to where she stands on where interest rates should be. Additionally, the MPC could have a ninth member in place for the August meeting, as it is currently one short following the resignation of Charlotte Hogg. While it seems unlikely that a new MPC member would vote for an interest rate hike straight away, it clearly could happen. At least now, we insist that the Bank of England will stop raising interest rates in 2017, but the confidence in this appeal has been hit. Given the uncertain economic and political outlook, the 2018 interest rate outlook is uncertain.